Where does one begin when teaching and inspiring one’s community towards a holistic approach to a sustainable lifestyle? 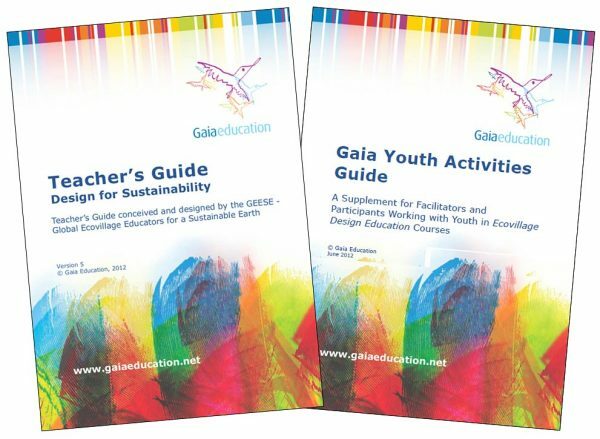 The Teacher’s Guide is a practical manual for sustainability teachers, from universities and classrooms, to ecovillage education courses, or for implementation in your own community. This digital manual comprehensively covers four dimensions of sustainability – social, economic, ecological & worldview – and is packed with innovative materials, approaches, and tools that have been developed in and tested by sustainable communities and transition settings worldwide. Order both now and receive a discount! Or order the digital books and receive them immediately. The Four Keys to Sustainable Communities Book Series is comprised of four comprehensive books compiled by Gaia Education. This series offers an overview of cutting-edge thinking on design for sustainability at local, regional and global scales. Drawing from the experience emerging from the best research and development centers for carbon-constrained lifestyles, they are reference books for anyone seeking to develop a high quality low-impact life-style. The Four Keys to Sustainable Communities Series covers core dimensions of the Gaia Education curriculum: Economic, Worldview, Ecological and Social, making ideal companions on the journey of our face-to-face or virtual programs. 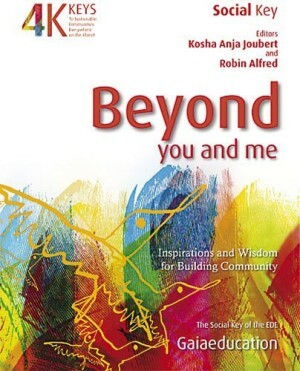 Beyond You and Me – Inspiration and Wisdom for Building Community. 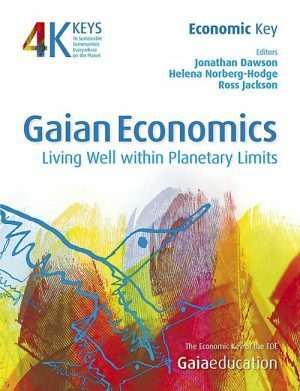 Gaian Economics – Living Well within Planetary Limits. 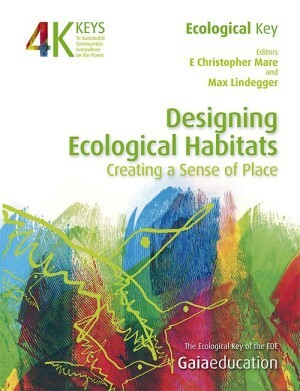 Designing Ecological Habitats – Creating a Sense of Place. 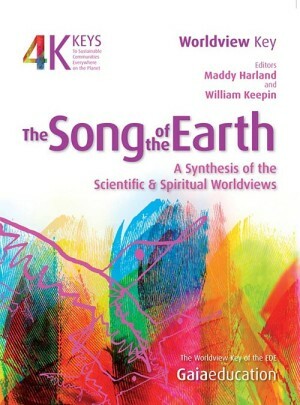 The Song of the Earth – A Synthesis of the Scientific and Spiritual Worldviews.